Colombia stands before one of the potentially largest, most diversified mining booms in the world. Untold reserves of gold, coal, copper, silver and other metals and minerals are luring prospectors, geologists and extractive companies—mostly Canadian multinationals, which account for more than half the world's mining activity. But the foreigners descending on Colombia may be in for a rocky ride. Beneath an investor-friendly atmosphere are dangerous fault lines—social, political, environmental and community-linked fissures that could create shockwaves for the companies and the communities in which they operate across the country. Colombia's burgeoning extractive sector offers an intriguing snapshot of an increasing global trend, one where fast-industrializing countries like China and India give international mining unprecedented importance, while bolstering growth in smaller emerging markets—in places like South Africa, Indonesia, the Ukraine, Kazakhstan, Mongolia and elsewhere in Latin America. Metals like copper and fuels like coal are crucial as never before. Alternative energy projects and technology are dependent on minerals and metals, putting a premium on those materials. Precious metals like gold and silver, meanwhile, remain treasured commodities amid global uncertainties. This year, according to the Metals Economics Group (MEG), a research consultancy, global spending on significant, non-ferrous metals alone soared to $18.2 billion—50 percent over last year, and double the $8.4 billion spent in 2009. Last year alone witnessed $132 billion in industry mergers and acquisitions. Colombia and its economic engine herald a wealth of opportunities. International businessmen are permeating the industrial capital of Bogota and its commercial hub, Medellin. The World Bank calls it the safest Latin American country in which to do business. Colombia's economy has grown four times as fast Canada's over the past 10 years. Foreign Direct Investment (FDI) quadrupled between 2002 and 2008. Between 2010 and 2011 it grew from $6.8 billion to $14.4 billion. And as of last year, according to the United Nations Conference of Trade and Investments, Colombian FDI surpassed the rest of South America. "Colombia has been transformed in the international scene—it's a place people see as stable and easy to deal with culturally," said Alexis Arthur, a program associate and expert on Colombia at the Inter-American Dialogue, a Washington think tank. "Colombia in general has become a regional leader." Colombia boasts a savvy business community and a well-educated population; it is also the only South American nation never to have defaulted on a major loan. And despite decades of civil war and instability, it remains home to its strongest political institutions. The picture isn't perfect. Colombia also has the worst income disparities on the continent. With unemployment well over 12 percent, well over half of Colombians live in poverty. Colombia's promise lies in its metals and minerals—the centerpiece of President Juan Manuel Santos' domestic policy. And while mining represents just 2.3 percent of Colombia's economy—with $2.6 billion in investments last year—this is expected to change, fast. This year, Bogota anticipates $10 billion in mining and energy investments. To date, the government has set aside a 7.4 million-acre "strategic zone"—a land mass the size of Greece—for mining exploration. Gold, most notably, is expected to draw $2 billion in FDI by 2015. Mining and Energy Ministry officials seek a 30 percent increase in gold output to 73 million tons. Proven reserves stand at 15,550 tons, according to the National Geological Survey. Giants like South Africa's AngloGold Ashanti and Canada's Barrick Gold are active on the ground. As the world's fifth-biggest exporter, Colombia has more coal than any other Latin American nation. The government seeks a 35 percent increase to a 115-ton annual output by 2014, and hoping to double that by decade's end. The United States sources 75 percent of its coal from Colombia via entities like Drummond Company, Inc., an Alabama-based multinational. China has begun talks for constructing a $7.6 billion "dry canal" railroad, linking production sites to the country's Pacific Coast. Colombia has announced its own $3 billion, 1,000-mile rail project plans, with financing from the Inter-American Development Bank. Colombia stands out in a Latin American region where, since 2002, mining investment has doubled. Of the $60 billion Canada's mining sector has invested in developing nations, $41 billion has poured into Latin America. Latin America, according to the MEG, remains the world's leading target for mining investment. Despite these inflows, "resource nationalism"—a worldwide trend wherein governments pursue greater shares of their natural wealth through increased taxes, regulation and outright nationalization—is no stranger to Latin America. Last year, for example, Peru made changes to mining royalties, while in April the Argentine government announced plans to re-nationalize Treasury Petroleum Fields, a major company. Venezuela's President Hugo Chavez has made nationalization of foreign companies a signature political priority, while bringing outside investment to a trickle. Not so for Colombian officials. Mining royalties linked to market prices and longer-lasting exploration permits have been primed for outsiders. "We don't want to scare off investors," Deputy Mining Minister Henry Medina Gonzalez said in April during an international exploration conference in Santiago. "We want to be as predictable as possible." Against this backdrop and given irregular growth in China and stagnation in the United States and Europe, "Colombia is a kind of oasis in a convulsing and unpredictable world," Mining and Energy Minister Mauricio Cardenas told reporters at a Reuters Latin America Summit in May. Such claims, however, have often contrasted with recent events. Days before the country celebrated its independence on July 20, guerrillas from the Revolutionary Armed Forces of Colombia (FARC) put on their own display by destroying a bridge, killing a police officer and sabotaging a railway at a foreign-owned coal mine—the biggest one in the country. Following decades of drug-fueled bloodshed by cartels, guerillas and paramilitary groups, many Colombians have since experienced the trappings of peace. Over the last 10 years, advanced security techniques and sophisticated military hardware along with a sweeping crackdown—and over $7 billion in U.S. aid—have turned the tables against violence. The Colombian government is now openly beckoning Canadian extractive companies. The relationship between Canada and Colombia was deeply pronounced at a 2011 event hosted by the Canadian Council of the Americas, where President Santos was anointed "Statesman of the Year." The Toronto Globe and Mail went on to credit Santos as "respecting the human rights of all." But a more troubling, if quieter, narrative has analysts' attention, too. The 40-year-old FARC remains active in 25 of Colombia's 32 municipal departments, while violence from government-formed paramilitaries and criminal gangs—and murky alliances between all three—is re-emerging. "You hear this victory line—everything is great, it's all peaches and cream," said Vanda Felbab-Brown, a senior fellow at the Brookings Institution and an expert on illegal economies. "Washington succumbs to that, but there's a lot of stuff that hasn't improved." Since all the "illegal" armed actors were never fully neutralized, rural Colombia remains unstable and drugs remain a serious problem. Colombia continues producing more cocaine than any other nation, according to the U.N. Office on Drugs and Crime, and precious metals themselves increasingly fuel the fire. In November, armed forces intelligence commander General Javier Fernandez Leal announced that terrorist group financing is "50 percent mining and 50 percent narco-trafficking." Larger-scale mining and huge profits, many believe, means the Colombia of yesteryear is poised for a comeback. "Colombia is at a typical Colombia moment," added Felbab-Brown. "The center systematically ignores the periphery—it has yet to extend a multifaceted state presence." The violent reach of this periphery has been invisible to foreigners for years. On May 15, however, a FARC explosion shattered the silence, killing two in Bogota's financial district. In response, authorities deployed 3,000 members of the Colombian Army. The events bear all the hallmarks of an ongoing trend. In 2011, according to Nuevo Arco Iris, a Colombian think tank monitoring illegal groups, there were 2,148 attacks nationwide—the most in 15 years—with a steady increase and sophistication in FARC attacks since 2009. In this context, a mishandled resource expansion in Colombia, some believe, could trigger Latin America's severest civil unrest. "It's an eye-opening moment," said Patricia Vasquez, author of "Oil Sparks on the Amazon" and a fellow at the U.S. Institute for Peace. It's "the only place where conflict could be like Africa." Santos is "right that the FARC are not the same as in the 1990s and are no strategic threat," in taking over Colombia, Nuevo Arco Iris Director Leon Valencia told RCN Radio. But "in several regions," he added, "the FARC are strengthening." The FARC rank-and-file are believed to have fallen from 17,000 to 8,000 members in recent years. Nonetheless, said Nuevo Arco Iris in a 17-page report, despite past successes "decapitating" FARC leadership, Colombian security forces are beginning to lose ground—with dire consequences. The immediate FARC response has been Plan Pistola: The deployment of insurgent cells—with fewer than 30 members—as agile, hard-to-track infiltrators of cities. "Hit-and-run" tactics, with sniper ambushes and improvised explosives, have inflicted further military casualties. This decentralization has made negotiations more difficult, according to observers like InSight, a risk analysis firm focusing on Latin America's organized crime. "As the FARC is stripped of its key military and political leaders," InSight reported in January, it "becomes more fragmented and similar to a criminal gang, focused on drug dealing, kidnapping and extortion"—frontal threats to foreign mining companies. This, in turn, has created what's regarded the gravest threat to state security, according to Bogota: Bandas Criminales (BACRIMS)—a fusion of FARC guerrillas, ex-United Self Defense Forces of Colombia (AUC) paramilitaries and members of defunct drug cartels from Medellin and Norte de Valle. Their nebulousness makes them hard to counteract, noted Vanda Felbab-Brown of the Brookings Institution. "The groups are much more elusive—the allegiances are very fluid," she said. "It's far less straightforward than counterinsurgency." International observers say the BACRIMS are the worst human rights violators. Since 2010, according to the Office of the U.N. High Commissioner for Human Rights (OHCHR), they bolstered a 40 percent uptick in civilian massacres; the U.S. State Department blames them for surges in urban homicides. These neo-paramilitaries have great strength and scope in terms of political violence—and connections with the pinnacles of Bogota's power elite. In a "parapolitics" scandal last year, 40 former members of Congress were convicted of paramilitary ties, including Mario Uribe, an ex-president of Congress and second cousin of former President Alvaro Uribe. Military abuses have also been well documented. The OHCHR says the army committed more than 3,000 extrajudicial killings between 2004 and 2008. A recent "false positives" scandal, in which civilians were deliberately slain and identified as combatants, also caused an international outcry. There is much to suggest natural resources are behind much of this dislocation and discord. The National Mining Company Workers Union, for instance, has reported 87 percent of displaced populations coming from energy and mining-heavy regions—where 80 percent of the country's human rights abuses have taken place over the past decade. But Canada's Parliament has responded with relative silence. In fact, in May, MPs shelved a human rights report within the Canada-Colombia Free Trade Agreement. The move was met with broad condemnation, as the report's provision was critical to the law's passage nine months earlier. One of the most prominent casualties of Canada's entry into the Colombian mining sector has been a priest named Jose Reynal-Restrepo. Last September, Rev. Reynal-Restrepo was gunned down by unknown assailants outside the tiny Colombian mining hamlet of Marmato. The 500-year-old UNESCO world heritage site had been slated for exploration, and the local activist was vociferous in his opposition—despite repeated threats against his life. 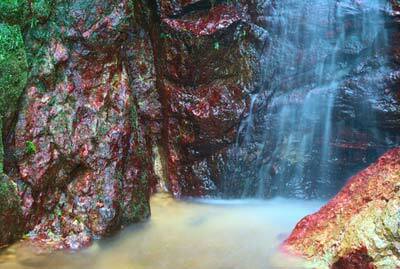 The ore value beneath Marmato is estimated at $10 billion; production is expected to begin in 2015. Representatives of the company in question, Gran Colombia Gold, have denied any ties with militias. According to international observers, such violence is not isolated and shares a common trait. "We're seeing increased attacks against leaders whose lands have been taken from them," said Jennifer Moore, the Latin American Coordinator for Mining Watch Canada, a public interest group. "Marmato is a kind of prototype and should not be developed in this fashion," Jorge Robledo, an opposition senator and critic of Bogota's approach to Canadian mining investment told The Toronto Globe and Mail. "This is a situation of a sort that is triggering intense conflict and violence throughout the country." Despite the massive infusion of investment, most mining growth has come from a few large companies. To ease a bottleneck, Bogota has since dismissed some 20,000 other permit applications. Regardless, NGOs say new permits will likely trigger conflicts for people resisting relocation by foreign mining companies, or those seeking to return to their old communities after decades of civil unrest. Even Colombian officials have voiced concerns publicly. Agriculture Minister Juan Camilo Restrepo cautioned that careless issuance of permits could deny peasant families access to 24.7 million hectares of unused agricultural land—equaling 80 percent of the rural countryside. The implementation of a 1994 law barring civilian land re-distribution within 5 kilometers of a mine, he added, will worsen the equation—possibly pitting millions of peasants against mining companies. "If this continues," Restrepo said, "the social crisis in the rural sector will be unmanageable." Communities have frequently mobilized—through protests and legal action—against mining companies over environmental threats. In October, thousands marched against AngloGold Ashanti's La Colosa gold project in central Colombia. Its permit was suspended for environmental reasons three years ago and partly reinstated later. In June, 40 civil society groups filed a complaint against the World Bank's $11.79 million investment in Eco Oro Minerals (previously Greystar Resources, Inc.) for not conducting an environmental assessment on a wetland. The high-altitude Angostura project is cited as a threat to the fragile Santurban Paramo, a water source for 2.2 million people. "You're already facilitating a lot of changes in land, to allow concessions in indigenous territories," said Carla Garcia Zendejas of the Due Process of Law Foundation, a non-profit Latin America advisory group in Washington. "Then you put the FARC in the mix and you take everything to a new level." In 2011, a fact-finding mission representing 15 countries documented "numerous cases of mass detentions against those protesting mega projects such as mines," according to Mining Watch Canada. And despite last year's Victims and Land Restitution Law—which sought to return millions of acres of land to displaced civilians, with compensation for human rights abuses—threats facing non-combatants are at crisis levels, say foreign observers. "They have disastrous territorial planning in Colombia," added Patricia Vasquez of the U.S. Institute for Peace. "Unless they pay attention in terms of mining [permits], they could turn Colombia into another Sudan." In January and February of this year alone, 5,500 Colombians were dislocated, reported the U.N. Office for the Coordination of Humanitarian Affairs. Precise statistics are elusive, but at least 4 million people are believed to have been uprooted by internal conflict in recent decades—whether by paramilitaries, the FARC or security forces. Social Action, a state agency, has recorded 3.7 million; Colombian NGO COHDES says, between 1985 and 2011, 5.3 million have been forcibly displaced. One survey by the non-profit Washington Office on Latin America offers dismal assessments for Afro-Colombians near the Panamanian border where the government had previously granted 236 mining licenses—with 1,868 applications pending. Both ignored by the government and menaced by armed groups, community members face a "high risk of displacement due to the activity of illegal armed groups" and "violence related to mining," said the report, issued in March. "In these areas, confinement and displacement are commonplace. Anti-personnel mines are another major concern," the study added. "Civilians' activities are restricted, food products are controlled and residents are extorted, illegal groups commit abuses against civilians, forcibly recruit youth and sexually exploit women and minors, [resulting] in an increase in prostitution as well as social and cultural disintegration." After large-scale cocaine eradication by government forces with U.S. military aid, many rural people have turned to what they see as their only other source of income. Some do it legally, while others have taken a different route. Colombia's illicit mining industry—with some 6,000 sites nationwide—is fueling a substantial part of the conflict. It's acknowledged at the highest levels of government. "This criminal practice has generated pressures and extortions for illegal miners, while polluting the environment," said Colombian President Juan Manuel Santos in February, calling it a "cancer." Across Colombia, according to U.N. statistics, wildcat miners using liquid mercury to separate gold from soil and river sediment make the Andean nation the world's greatest per-capita emitter of the man-made pollutant—at 130 tons annually—second only to fossil fuels. In all, said Biodiversity Minister Sandra Bessudo, it would take $10.8 billion –and anywhere from 25 to 40 years—to repair the damage caused by deforestation and poisonous contamination from small mines. Among these 30,000 miners across the countryside, many see few alternatives. "It's now much harder to grow coca because of eradication, so what are my options?" one miner told The New York Times recently. Massive money laundering has surfaced. Curious numbers, in fact, portray a country exporting more gold than it produces. 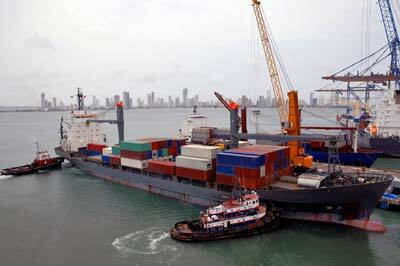 In 2010, for instance, the government recorded exports at 62.8 tons, surpassing production by 9 tons. But Colombian officials and the Canadian government insist mining investment, when implemented responsibly, will be a boon to the Colombian people, their economy and their local communities. Some cooperation exists between Bogota and Canada's Embassy to assist mining companies entering the Colombian market. But observers see today's situation as untenable. Licensing, environmental or community-driven problems—or armed protagonists—mean Canadian extractive companies are wading into a minefield, one wholly different from what they might expect. Canadian government officials, for their part, are upbeat. "Canada continues to foster and promote sustainable development and responsible business practices in countries where Canadian mining countries operate," said Me'shel Gulliver Belanger, a spokeswoman of the Canadian Ministry of Foreign Affairs and International Trade in a statement. "Canada expects Canadian firms operating abroad to respect all applicable laws and international standards." Such programs include a "Corporate Social Responsibility Strategy" in which Canada donates money to companies mining abroad. To date, the government has funded $26.7 million for pilot projects in Colombia and other Latin American and African countries to reduce poverty. Similarly, the Canadian International Development Agency and Natural Resources Canada have assisted Colombia and other Andean nations through capacity building via the extractive sector. Last year, the Ministry of International Development announced $20 million for an Andean Regional Initiative for Promoting Effective Corporate Social Responsibility. The Colombian government appears to be making progress: Under 2010 reforms, CSR is now mandated in Colombia's mining code. And its entire licensing process is being overhauled, too—albeit through a mining ministry that has existed only since May 3. Next year, under competitive bidding, Bogota will award 20 percent of its 7.4 million-acre "strategic zone" to companies based on criteria including proposed exploration spending and revenue sharing offers. In 2013, the government will also establish more exacting regulations for bidding and mining in sensitive areas, while cracking down on armed groups profiting from illegal mining. Colombia is being proactive in other ways, too. In August, the Environment Ministry, The Nature Conservancy, the World Wildlife Fund and Conservation International—the largest environmental groups operating in Colombia—issued a "Manual for the Allocation of Compensation for Loss of Biodiversity." Four years in the making, it offers a methodology by which companies must compensate for environmental damage. In June, meanwhile, Colombian officials denied Alabama-based Drummond and Glencore International—the country's biggest thermal coal producers—permission to expand their Prodeco site, because of pollution. Separate decisions for Drummond, Vale of Brazil and Goldman Sachs-owned Colombian National Resources are also delayed. In terms of overall corporate responsibility, some success stories have emerged. BHP Billiton, Xstrata and Anglo American have run a coal mining complex hosting a 20-year rehabilitation program restoring thousands of acres of land with 140 native plant and tree species. In 2009, it earned an award from the Siembra Colombia Foundation and the British Embassy. Though its project remains deeply unpopular, Gran Colombia Gold has invested $2 million in the Marmato community, including resettlement in new housing with running water, sewage and utilities. Many places in the region, the company notes, have none. Gran Colombia has invested a further $1 million in a new hospital and school ahead of more programs. Canadian companies have a good reputation in terms of instilling principles of Corporate Social Responsibility. But in practice it's been mixed. With the January release of a report by its International Social Responsibility Committee, "While more work can be done, Canada has not been idle and has taken meaningful steps to advance corporate social responsibility," said Pierre Gratton, president and CEO of the Mining Association of Canada. NGOs like Mining Watch Canada remain skeptical. "Canadian companies are at a high risk of aggravating, causing or benefitting from serious human rights abuses," it said in another report, "ranging from dislocation of local populations, inadvertently rewarding groups who have committed human rights violations, imposing serious environmental impacts, especially on crucial water supplies, and imposing undue costs to livelihoods and economic and food security." To date, Canadian companies have been allowed to report human rights abuses voluntarily. But with increased violence near Canadian-owned mines increasing worldwide, new legislation has been introduced into Parliament in the form of Bill C323, which would allow foreign complainants to take legal action against Canadian companies in Canadian courts. It’s the second such effort in two years. "There are good companies out there; there are companies that act in a very socially responsible way," said MP Peter Julian, who introduced the bill before a gathering of Parliamentarians and activists in March. “But clearly there are some companies, some bad apples, that aren’t. And so you can’t simply function with a voluntary code when these abuses are taking place." Joseph Kirschke is a communications consultant for the Extractive Sector and Corporate Social Responsibility.